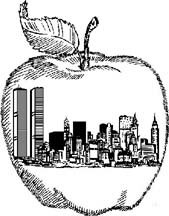 The days after the tragedy of September 11 are the most terrifying, because you know that all the people who lost their families and friends are suffering from all the bad and stupid things that the terrorists did on that day. The United States has been very affected by this tragedy. Many people have lost their jobs and they don't have any money to live. The economy is not the same. A lot of people are afraid to spend or buy things. Every day the economy is going down, down. People don't feel the same about getting aboard a plane. Some of them feel very nervous and scared that something like what happened on September 11 could happen again. It is not easy to believe that in a country "so secure" like the United States this could happen. But we have to keep living our lives. And I hope that the people who were responsible for this tragedy pay double for what they did. I know that by punishing these people we are not going to take the pain away. But at least by punishing these terrorists, we will let other terrorists know what may happen to them if they try to do something like that or something similar. My advice is that you have to live your life and have fun as much as you can, because you never know what might happen the next day!